The first thing that all injured workers should do to protect their rights is to fill out a written accident report as soon after the injury as possible. It is always a red flag if your employer says that you don’t need to fill out an accident report or they don’t have any accident reports available. This is a ploy used to dissuade workers from filing claims. In order to avoid this situation always demand that an incident or accident report be provided to you and completed immediately. If your employer refuses to do so, you should write an accident report on plain paper or type it on a computer to clearly document exactly what happened to you. This report should be filed as soon as possible following the incident. This is a common scam run by dishonest employers in New York State because they are concerned about Workers’ Compensation premiums increasing; they discourage injured workers from filing formal claims. 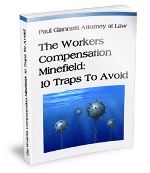 Often times, they promise that they will pay lost wages and all medical bills from the injury. This can be the “Kiss of Death” to your claim because as time goes on the employer will inevitably refuse to pay for medical bills and lost wages. By the time, the employee figures out that they have been lied to, they are usually behind in their bills and in need of medical treatment that is not being covered. At that point in time, they have to begin the process of filing the claim which should have started immediately following the accident. Worst yet, employers will argue that the claimant did not file the claim in a timely manner, not withstanding the fact that they promised to “take care” of everything. Under no circumstances should the injured worker allow the employer to “pay for everything” instead of filing a formal claim. If your employer tells you that you did not file your claim in time, they are probably lying to you. There is no 24-hour rule for filing a Workers’ Compensation claim or accident report. 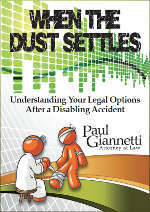 In fact, the Law allows for up to two years following an injury to file a claim. The New York State Workers’ Compensation Law further requires notification to your employer within 30 days following the incident. It is always best to report your incident immediately but do not trust your employer when they say it is “too late” to file your claim. Always investigate whether you can still file for benefits. In my Law Practice, I have heard many different versions of employers refusing to provide accident report or accept written statements of injury because a certain amount of time has elapsed. It is almost always nonsense. A very common, and illegal, threat made by employers is that of termination. The threat of termination should not dissuade an injured worker from filing and reporting a claim. In the long run, your employer will not be there to take care of you but, if properly filed, your Workers’ Compensation claim may protect you for many years into the future. While it is illegal for your employer to terminate you because you filed a claim, it happens every day and it is very difficult to prosecute. In order for you to demonstrate discrimination, as a direct result of you filing a claim, you will need extraordinary proof which is not normally available in these cases. It is rare for a discrimination claim to be successfully prosecuted in New York State because the employer has the upper hand as far as the law is concerned.